0 X í S T's sophomore is a cold and monolithic slab of well-executed Dark Metal. 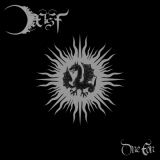 'One Eon' is the second full length album from Finland's 0 X í S T and is also the very first release from new label Death Shrine Offerings who are 'focused on dark metal music as well as on other forms of dark music'. It is hard to get a clear view of a label from a single release, but 'One Eon' is definitely Dark Metal, so they have realised their objectives so far! I have no idea how to pronounce 0 X í S T, but their homepage zeroexist.net may offer a clue. It is also worth noting that to get the full range of results from Google you need to try both '0 X í S T' and '0XíST'. All official material includes the spaces, so I shall be going with that! I have to admit I don't have a vast knowledge of the Dark Metal 'scene' outside of a few big names (Bethlehem, Forgotten Tomb), but I have always enjoyed what I have heard (which may be missing the point a little, but still!). 'One Eon' seems to fit well with the image of the genre that I have in my mind. 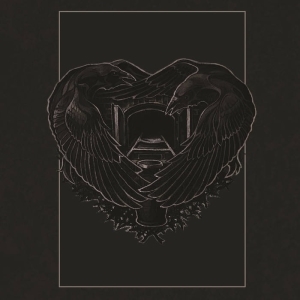 Mournful melodies and harmonies, mid-to-slow tempos, vocals full of hate, despair, nihilism and misanthropy. A lack of keyboards is more than made up for by atmospherically layered guitars. 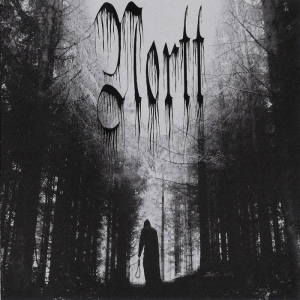 The vocals are mostly of the gruff variety, on the lower pitched end of the Black Metal spectrum, but there are occasional clean vocals on tracks such as 'Conclusion' and the album closer 'No Life to Bother' which remind me of something you might hear on Pantheist's 'Journey Through Lands Unknown'. As a general rule, I favour warm sounding production. However, for this style of music I feel it is completely out of place with the overall atmosphere and message of the music. Fortunately 0 X í S T have gone for a much colder sound here, which fits the style nicely. 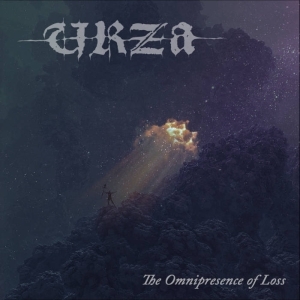 Don't expect a thin Black Metal sound however – the downtuned guitars and chugging riffs ensure that it manages to sound extremely thick and heavy. All the playing is spot on and the record sounds very tight. Personally, I do find 'One Eon' to be a little bit lacking in variety, but to play devil's advocate against myself, one could say that this gives the record a monolithic feel which would be ruined by diverging from the depressive feel. Certainly there is some dynamic variation, with sparser clean sections interwoven with the heavy guitars. I would also say that whilst the record does a good job at portraying the relevant emotions, there are no songs that really hit me in the gut like genre classics such as Forgotten Tomb's 'Disheartenment', or Bethlehem's 'Apocalyptic Dance'. Overall, if approaching this record objectively, it is well executed, well written and there is little to find any great fault with. Subjectively, however, I find it leaves me feeling a little flat. I can't say that listening to it has been in anyway unpleasant – quite the opposite in fact – but I don't find myself feeling like listening to it again after it has finished. However, I would still recommend this to any fans of the genre as I think it will certainly appeal to many. 'One Eon' is out now on CD and via all the usual digital avenues, with a limited to 100 12" picture disk coming in March. If you like things that are slow, dark and miserable (which as a reader of this site I presume you do!) be sure to check it out. Hopefully Death Shrine Offerings will continue to release many further records in the same vein. If they do, be sure to check those out also.